The 6th International LafargeHolcim Forum for Sustainable Construction featured panels moderated by Maria Atkinson, Founding CEO of the Green Building Council of Australia (left), and Alejandro Aravena, Partner Architect and Executive Director of Elemental, Chile (right), both members of the Board of the LafargeHolcim Foundation. Keynote speakers illustrated the importance of considering sustainability even before the design process commences and included Lord Norman Foster, Chairman & Founder, Foster + Partners Architectural Design & Engineering, United Kingdom (2nd from left), Christine Binswanger, Senior Partner, Herzog & de Meuron Architekten, Switzerland (3rd from left), Anne Lacaton, Principal, Lacaton & Vassal Architectes, France, Francis Kéré, Principal, Kéré Architecture, Burkina Faso/Germany, Laila Iskandar, former Minister of Urban Renewal & Informal Settlements, Egypt, and Mitchell Joachim, Co-Founder, Terreform ONE, USA . 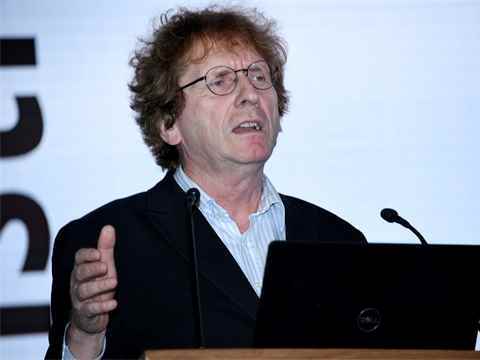 Michael Braungart (pictured left, Germany), Cradle-to-Cradle Chair at Erasmus University Rotterdam, provided a note of optimism, asserting the need to depart radically from the approach to design that had created the problem. 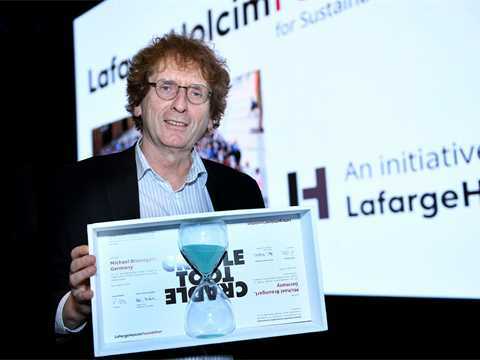 He was presented with the LafargeHolcim Foundation Catalyst Award in recognition of his substantial and lasting contribution to the advancement of sustainable development. Rt Hon Simon Upton, Parliamentary Commissioner for the Environment (New Zealand), summarized the Forum by reflecting on the challenges ahead. “With such little time, how do we tackle a problem of such complexity and such scale – and thereby intelligently re-materialize the economy?” he asked. Four concurrent workshops with contributions by 50 experts from all continents explored topics related to materials in the construction industry. The workshops investigated Changing paradigms (materials for a world not yet built); Shifting the flows, pulling the strings (stocks, flows, and their dynamics); From manual to digital and vice versa (digitalization, labor, and construction); and Catch 22 (Material needs versus material impact). 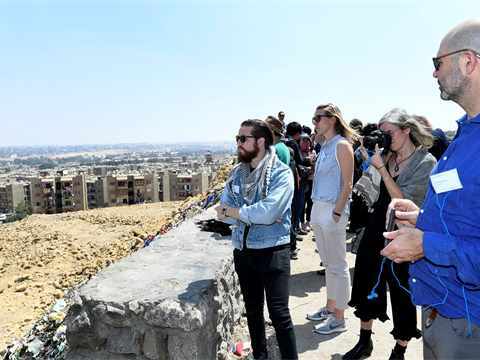 Full-day excursions connected to the theme of “Re-materializing Construction” visited sites in the Cairo region and provided a local contextualization of the global discussions. The excursions were curated by AUC and examined Archeological heritage, Water challenges, New vernacular, and Desert cities. The tri-annual Forum is an initiative of the LafargeHolcim Foundation and also brought together students of its associated universities from around the world associated. They participated in a Poster Competition that was judged by the delegates. 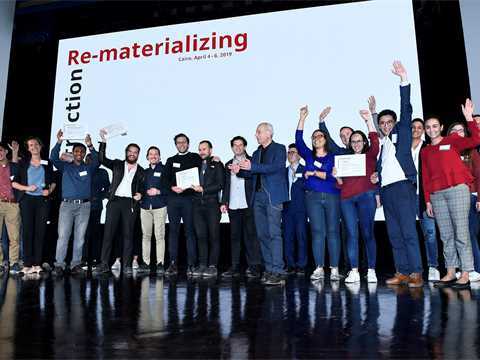 Prizes went to students from Universidad Iberoamericana (IBERO) in Mexico City for “M-E-X – Mercado Embarcadero Xochimilco” and “Living Mexico City” as well as to a team from L’Ecole Supérieure d’Architecture in Morocco for “Insertion of a Water Treatment Cycle”. Two projects were highly commended: the work of a post-graduate student from India for “Community Farm Produced Processing and Storage” and a team from the National University of Singapore for “Feeding the City”. Ruby Press Berlin will release The Material Book in late-2019, a publication inspired by the Forum. The book will evaluate current architectural practices and models, and also introduce materials and methods to maximize the environmental, social, and economic performance of the built environment in the context of “Re-materializing Construction”. More than 350 leading thinkers from architecture, engineering, planning, and the construction industry met to accelerate their contributions to creating a more sustainable built environment. 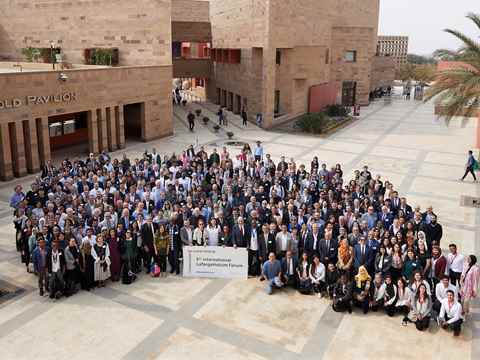 The LafargeHolcim Forum “Re-materializing Construction” with delegates from 55 countries was hosted by The American University in Cairo (AUC). 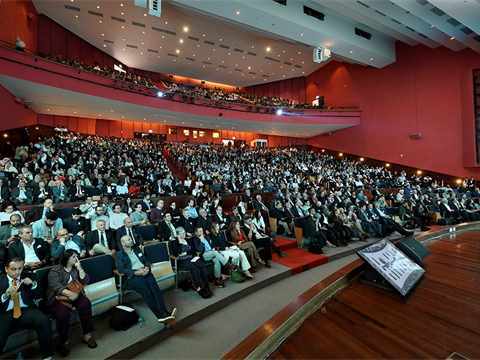 More than 2,000 people attended the opening session of the Forum on the campus of the AUC. The keynote addresses, workshops and excursions of the Forum focused on strategies to “re-materialize” construction by reducing consumption throughout the material cycle from extraction to processing, transport, installation, maintenance, and removal – contributing to a leaner industry. Full-day excursions connected to the theme of “Re-materializing Construction” visited sites in the Cairo region and provided a local contextualization of the global discussions. The excursions were curated by AUC and examined Archeological heritage, Water challenges, New vernacular, and Desert cities. 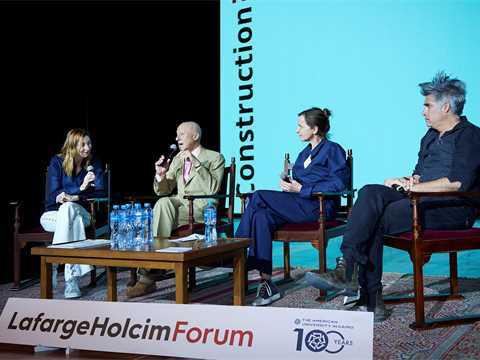 The American University in Cairo (AUC), an associated university of the LafargeHolcim Foundation, hosted the 6th LafargeHolcim Forum. Founded in 1919, AUC is one of the region’s leading English-language universities and a center of the intellectual, social and cultural life of the Arab world. 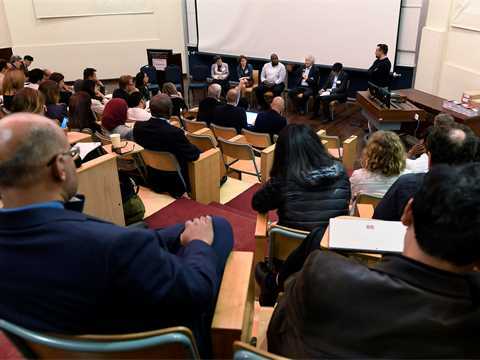 With a community of students and faculty members representing more than 60 countries, AUC is a crossroads for the world’s cultures and a vibrant forum for reasoned argument, spirited debate and understanding across cultures. AUC officially inaugurated its new AUC New Cairo campus in 2008. The new 105-hectare suburban campus is located 32km from the downtown campus on Tahrir Square. The Campus Center and Student Residential Village was designed by Mexican architects Legoretta + Legoretta. Materials and finishes include Egyptian limestone and alabaster, exposed and stuccoed concrete, and hardwood mashrabiyya window shades. The campus center aspires to local traditions and open-air solutions in a design distinctive to the architect in its planes, volumes and colors.